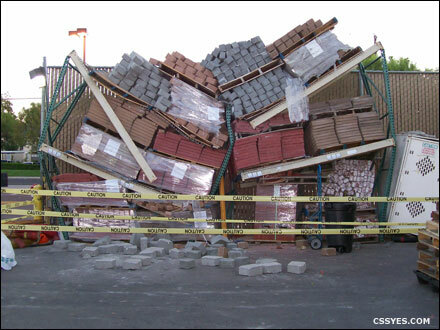 With the prevalence of earthquake activity in California, a common question is “Are my warehouse storage racks safe?” Well that depends on how the racks were installed and what items are being stored. 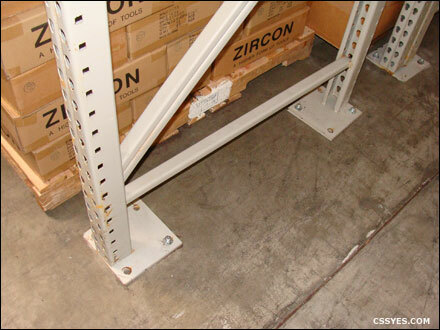 Our Seismic Safety Inspection is a general “walk through” of your warehouse to determine the safety of your existing storage racks and provide solutions to fix any problems, if necessary. It is important to maintain good housekeeping by replacing damaged parts as needed. With souring insurance and medical costs, there’s no better time to be safe than right now. 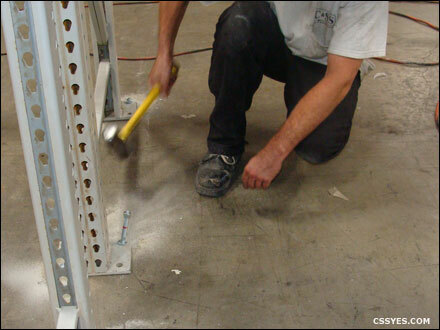 We have over 17 years of experience and understand the strict guidelines set by the International Building Code (IBC), the Rack Manufacturers Institute (RMI), and the Occupational Safety and Health Administration (OSHA). Installer drilling the warehouse concrete floor through the footplate. The load capacity of the system is maximized with anchors. 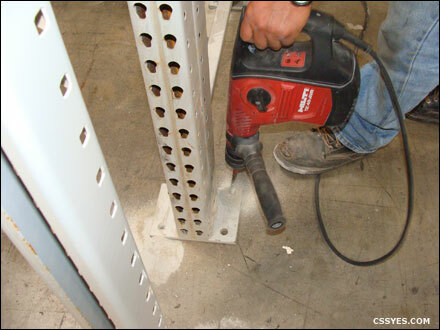 Installing anchors on pallet rack frames will secure your rack system to help avoid accidents during an earthquake event.